as charming as South Tyrol. It is said that we feel most at home where we are welcome, where we can be ourselves, free and easy, and where we are taken care of. We feel most at home in places that are cosy and familiar, yet constantly surprise us. Your hosts, the Spögler family are aware of this and have created a place in Tirolo where unforgettable memories and homely details await. 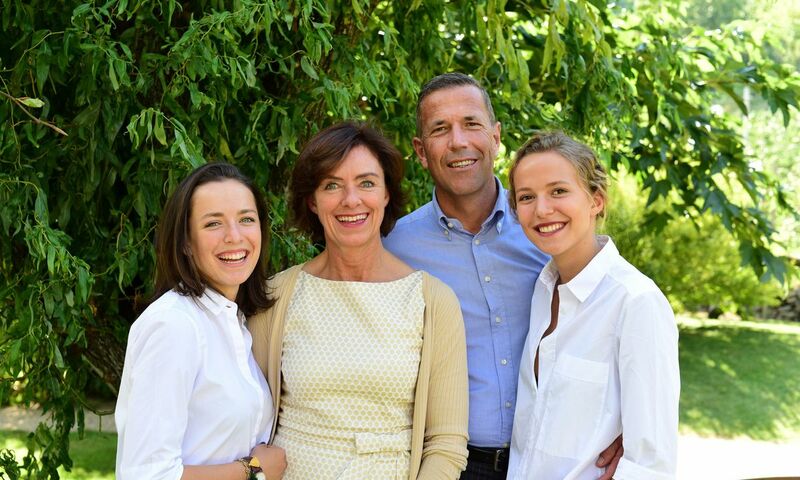 Florian and Ulrike, as well as their daughters, Julia and Anna, ensure that Hotel Patrizia is a place where guests are always greeted with a smile; where they can always strike up a good conversation, get tips and suggestions, and ultimately aspire to come back again and again. The individual characters of the hosts are reflected throughout the hotel: in the exquisite wines recommended by wine enthusiast Florian Spögler; in his well-groomed garden; in the decorations attentively selected and arranged by Ulrike Spögler that are influenced by her sense of aesthetics; and in every smile and warm welcome you receive upon entering the house. Regional specialities, refined culinary highlights, and the perfect accompaniment: a glass of fine South Tyrolean wine recommended by wine enthusiast Florian Spögler. Paired with superb views of the country, this is your gourmet moment at Hotel Patrizia.